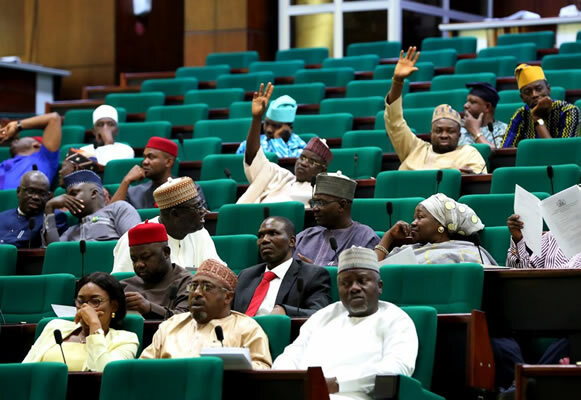 Some aggrieved All Progressives Congress members of the House of Representatives are still hopeful that the party may accommodate them somehow as the crisis over the loss of return tickets in 2019 rages. indicated that some members of the green chambers were considering other options, including compensation in form of appointments. Findings showed that the compensation option appeared more appealing to some of the members than the earlier threat to defect from the APC. One National Assembly source said, “They have been weighing all the available options. “ The window to get something has not closed completely and if people can be accommodated somehow, they may not leave. Discussions are still ongoing. Don’ t forget that this is not about National Assembly members alone. SUNDAY PUNCH learnt that after Buhari held meetings with the aggrieved party members last week, some of them listened to his appeal not to defect and for them to wait for the outcome of his intervention. “ I think for some members, they have realized that it is a good idea to wait and see how these issues will be resolved. “ Discussions are still in progress and we hope that that promise will be fulfilled this time around, ” one lawmaker told SUNDAY PUNCH in Abuja. that his colleagues were still exploring ways to resolve the dispute in their favor as against defecting to another party in a hurry. He said members were weighing the available options because they came to the realization that there was no political party without an internal crisis. Odeneye, who represents Ijebu Ode / Odogbolu/ Ijebu North- East Federal Constituency of Ogun State, stated that members had also thought about the possibility that the APC could still accommodate their interests if it wins the general elections in 2019. He said, “We need to manage the crisis well. What we see is that if members can be pacified with appointments, it will help. “It is possible that the APC will win in 2019. No fewer than 70 members had protested their loss of return tickets after the party ’ s primaries to its appeal panel. However, the panel was said to have resolved only eight of the cases in favor of the petitioners, leaving the majority 62 out of the equation. On Wednesday last week, a member from Kaduna State, Mr. Musa Soba, resigned from the APC on the floor of the House in Abuja to cap his protest against the alleged injustice meted out to him. But the Majority Leader of the House and leader of the APC caucus, Mr. Femi Gbajabiamila, in a quick reaction, told SUNDAY PUNCH that there were “ genuine” and “ not so genuine ” cases, which would ultimately be resolved by the APC. Gbajabiamila stated, “These things are normal during election cycles when people feel shortchanged. It has happened across all parties and it is how it is handled that matters. “Some have genuine cases and some not so genuine. However, I know many of the members who might have lost out during the primaries and I believe over time when the dust settles their issues will be resolved one way or the other.